Supply Chain Connection reveals how to rule the lead generation world with the help of this internationally recognized pocket ebook. 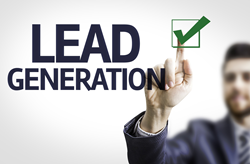 Supply Chain Connection eliminates the hype and false pretenses of lead generation. The days of smiling and dialing techniques have gone. This eBook emphasizes on techniques that get results to build a quicker and healthier pipeline. Ultimately, big pipeline leads to a happier company. For people who are in business development, lead generation and marketing, this shows how to develop and prospect no matter what department you are in. The book also speaks to those in sales and leadership. Don’t Listen to Your Boss’s old stories. They are hype and not realistic! In addition, you will also get templates which can be used for, composing emails and setting up calls. This eBook is a complete guide of what you need to do as a professional and how to do it, with fast results! The enticing style of writing & no BS from the author will ensure that you read it over and over again. The eBook is available directly on http://www.supplychainconnection.com or at Amazon Kindle under the title, “The Do's & Don'ts of Marketing” available in any language. This eBook has reached to the international audiences of Europe and continues to be a hit in North America. Supply Chain Connection is the leading business development & lead generation consulting firm in the United States that provides marketing, lead generation and consulting to technology & services companies within and around supply chain.